Box Office: Salman Khan-Katrina Kaif Starrer Tiger Zinda Hai Second Week Business! Home BOLLYWOOD Box Office: Salman Khan-Katrina Kaif Starrer Tiger Zinda Hai Second Week Business! 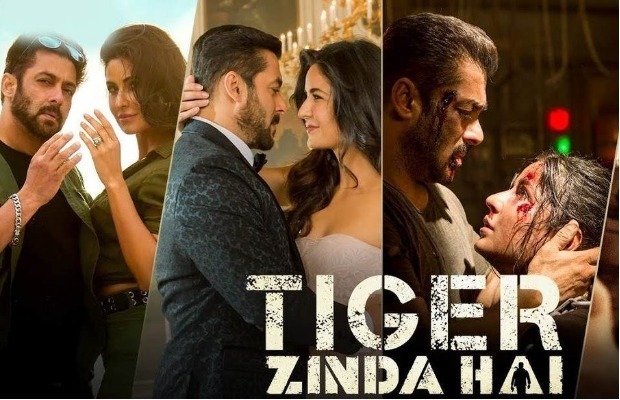 Ali Abbas Zafar directorial Tiger Zinda Hai, produced by YRF starring Salman Khan, Katrina Kaif is ruling Box Office since the day of its release. Salman Khan and Katrina Kaif starrer Tiger Zinda Hai has successfully surpassed two weeks at the Box Office. The film is doing outstanding business since day one. The collections of the film are unstoppable and with this, the film becomes one of the top performers of 2017. Tiger Zinda Hai has earned Rs 5.25 crore net approx on its second Thursday, thus, taking the total two weeks business to Rs 291.55 crore net approx at the Box Office. The action-spy-thriller has done a business of some Rs 85 crore in its second week, which is excellent. Despite the protest in Maharashtra, Tiger Zinda Hai continued its solid run. The second-week business is fifth highest of all time. The Ali Abbas Zafar directorial might witness a big drop in the coming days but that’s quite expected usually after a strong three-week run. Next articleRanbir Kapoor Starrer Sanjay Dutt Biopic Postponed, Here’s The New Release Date!